Debt is no less than a disease. It can be called a silent killer. Although you know that you should keep debt at bay, yet no matter however much you try to control your finances, it is very hard to remain totally debt-free. 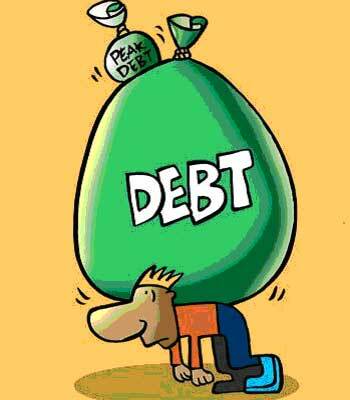 To add to the burden is the negative light that your debt ridden records throw on your credit life. It is absolutely difficult to retain a healthy credit report if you have a history that shows your inability to cover up debts and repay loans regularly. So what option are you left with to get rid of this burden? In such a scenario, debt consolidation may seem to be the best viable option. Very lucidly put, it means consolidating all your accounts and balances allowing you to make one single monthly payment. This allows you the opportunity to not only pay off your debts but also saves you from the embarrassing warnings of your lenders. Debt consolidation, however, does have an effect on your credit score. But then again, it depends on how you have managed the consolidation and based on that you will come to know whether the effect on your report is positive or negative. By doing debt consolidation you will be combining all your bills, bring them into one and then start paying your monthly installment accordingly. The interest rate on credit card and personal loan ranges from 16% to 36% p.a. making the debt expensive. One can consolidate these expenses by taking a loan against property on which the interest rates are 12% to 16% which are quite low and the tenure allowed is more. These methods can save huge money for the individuals. It is of course very easy and feasible to manage one single payment account instead of half a dozen varied accounts. Otherwise, with different accounts, interest also keeps adding up and it becomes very difficult to manage them. But the good thing about having one account is that now you know exactly how much you have to keep aside from your monthly salary to pay off your debts. Hence, you can accordingly budget your savings and expenditure. You will soon realize that by doing this you are actually saving more money than you used to before consolidating your debt. At times your credit card can come up as a savior. A credit card with a zero percent interest rate is also used for debt consolidation. Here we can say that, “Credit Card has a grace period which is interest free and if we have multiple cards then by doing Balance Transfer from one card to another we can increase the grace period which will be interest free and we get time to pay off the outstanding”. For example if Mr. Mahesh has 5 cards and each card has grace period of 45 days then by doing Balance Transfer we can increase the grace period to 5x45 = 225 days which will be absolutely interest free. You can also use an installment loan to consolidate your credit cards if you have high balance to pay off. An installment loan is a loan which allows fixed monthly payments. This procedure may assist you in improving your credit score also because you are putting the loan to use in repaying your credit card bills that are near their limits. However, this comes with a price. Sometimes, taking a new loan especially at a time of crisis can plunge your credit rating. For example Mr. Raj has 3 credit cards with a limit of Rs 1.5 lakh each; he used Rs 90,000 on each card for an emergency situation. Now if he pays the minimum amount due (which is generally 5%) on Rs 90,000 and 3.5% interest p.m. on the same then the amount due will be Rs 7650 for each card. i.e. Rs 22,950 per months for all. Now suppose if he opts for EMI of 18 months at 17% interest p.a. to clear his dues, he would be paying Rs 18,825 per month. Thus he can save upto Rs 4,125 per month. So by opting for EMI option he can save a good amount of money rather than paying the minimum dues. Transferring a high-rate credit card balance to a card at a lower rate can be another way to consolidate. But you have to be very careful as there are certain pitfalls in this approach like getting trapped at higher rates of interest once the introductory period is over. It has been seen that majority of the people apply for a new loan to pay off the previous loans or debts and once it is paid, they close their debt accounts. But they fail to realize that the credit score comprises of the amount of credit that is available to them and how much of it they are actually using. So, if you close your accounts after you pay off your debts, you will reduce the amount of credit you have. These will naturally lowering your credit score. If you need to have a good credit score and prevent from lowering your score, you should have active accounts to show your creditworthiness to the financial institutions. Apart from running the risk of damaging your credit score, you are also not sure whether you will be easily getting such a loan that comes with suitable terms and conditions. And that too at a time when you are already suffering from heavy debt issues because of which your credit score has further dropped down. It is common knowledge that lenders always cross check your credit score before approving you a loan. However, you can always take the help of credit health improvement companies who can take you out from this financial mess. You can put down your situation and they’ll make sure you get out of it. Credit Sudhaar is focused on providing assistance to individuals with low credit points through their specialised services and technical approach. They have a devoted group of professionals who are expert in the field of credit enhancement and thus render valuable services to its esteemed group of customers.